It’s almost summer time and you know what that means; it’s almost time to open your pool! Getting your pool balanced and your equipment ready to go can seem like a daunting task, but here at Preference Pools and Spas we’re here to help. We’re going to go over a few brief steps to make opening your pool stress free! Remove your pool cover and clean it! Cleaning your cover can help prevent it from sticking together, forming cracks or tears, and from smelling foul when you go to bring it back out in the fall. We like to recommend Bioguard Stow-Away, a cover cleaning liquid that makes it easy for you. Fill your pool! During the winter, it’s recommended to drain your pool down below the skimmer as well as to drain your equipment. Now that it’s getting fired up again, you’ll need to top off your pool until the water level reaches the middle of the skimmer. That way everything will circulate properly in your pool. Check your equipment! It’s important to check your pump, skimmer, and filter when you’re firing everything up for the summer. If you have a sand filter and haven’t changed the sand within the past 5 to 7 years, you may need to change your sand before you start up your filter. Checking all your equipment to make sure that it’s in working order will ensure that disaster doesn’t strike just before that birthday party you have to throw. Get your water tested! Pool water chemistry is not the easiest thing to master, especially when you’re getting your pool up and running for summer. It may seem overwhelming, but that’s why Preference Pools and Spas is here to help. We offer free computerized water testing that finishes in minutes and provides you with a printout with the products you need to add and the amount of each one. It’s that simple! We’ll walk you through everything and make sure that you know we’re always available to answer questions. Routine maintenance! 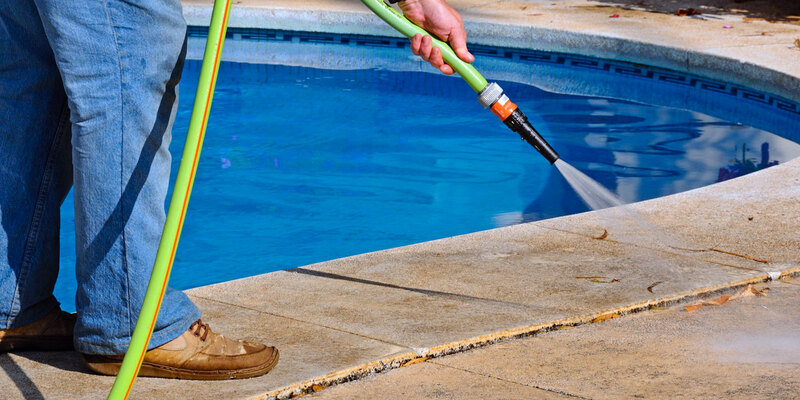 The last step when opening your pool is going to be the upkeep! Routine maintenance is key when keeping your pool clean and clear and ready for swimming. Bioguard has created a four-step system to keep your pool in check and ensure you experience an algae free summer. Stop in at our location on 787 W Harvard Avenue in Roseburg to learn more about the Bioguard four step system! With these 5 simple steps, you should have your pool running and crystal clear in no time! We know that the kids (and maybe the adults too) are just dying to dive into your pool this season and we want to make it as easy as possible for you to get ready for pool season. Print a copy of these five steps and drop your water sample off today with Riley, our water care specialist, to see what we can do for you! We will be covering some of these steps in more detail, see keep watching for more information later this month.